Plastics, We have to get rid of!!!! No Plastic! Trevor Nace , CONTRIBUTOR Opinions expressed by Forbes Contributors are their own. WE have a massive plastic problem.We have to get rid of plastic. Look at this……. A sperm whale was found washed ashore dead after swallowing 64 pounds of plastic debris. The male sperm whale was found on the Murcian coast in southern Spain in late February, reminding us how critical plastic waste in the oceans has become. Experts found the inner walls of the whale’s abdomen to be inflamed due to a bacterial or fungal infection. 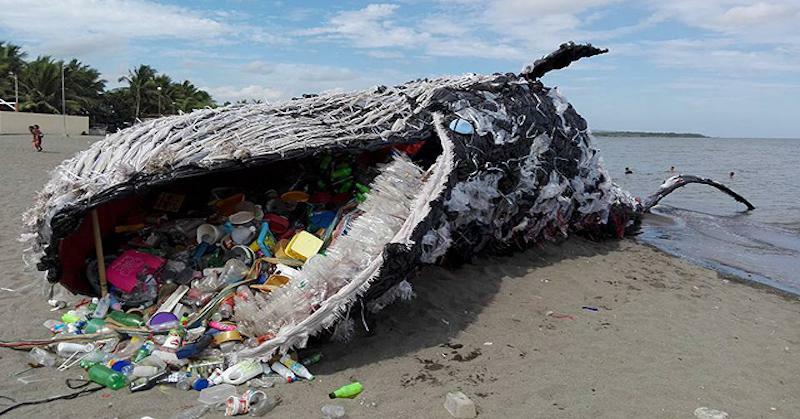 This is likely a result of the whale unable to expel the plastics from its system, resulting in peritonitis. WE have to get rid of Plastic! The male sperm whale, an endangered species protected in the US under the Endangered Species Conservation Act, weighed over 6 tonnes and measured 33 feet long. Sperm whales typically eat squid and live around the same lifespan as humans, averaging 70 years. As a result of the whale’s death, the Murcia government launched a campaign against dumping plastic waste into the coastal town’s water. The coastal community is working to raise awareness of the ever-growing plastic problem in oceans and the need for beach cleaning. WE have a massive plastic problem. It is becoming increasingly clear that plastic in our oceans is a core threat to marine life in the decades to come. Approximately 5 trillion pieces of plastic are estimated to be floating around the world’s oceans based on a recent study. To make matters worse, marine experts believe the total weight of plastic in our oceans could outweigh fish in the world’s oceans by 2050. We have a massive plastic problem! With an increasing amount of plastic discarded in oceans, whale deaths due to ingestion of plastics are becoming far too common. Just two years ago a pod of 13 sperm whales all washed ashore dead from ingestion of plastic waste. To cope with this dilemma, many countries around the world are phasing out single-use plastic bags as typically seen in grocery stores. Below is a map of where countries are in their phasing out of low-density polyethylene plastic bags. The European Union is pushing a transition to have all plastic recyclable or reusable by 2030 with many agencies around the world discussing phasing out non-biodegradable plastics completely. However, in the meantime efforts to clean up beachesand oceans are underway due to dedicated and novel initiatives. Get involved. We have to stop the plastic pollution to our earth and out oceans. The earth and ocean feed us. This is truly stupid! We have a massive plastic problem.